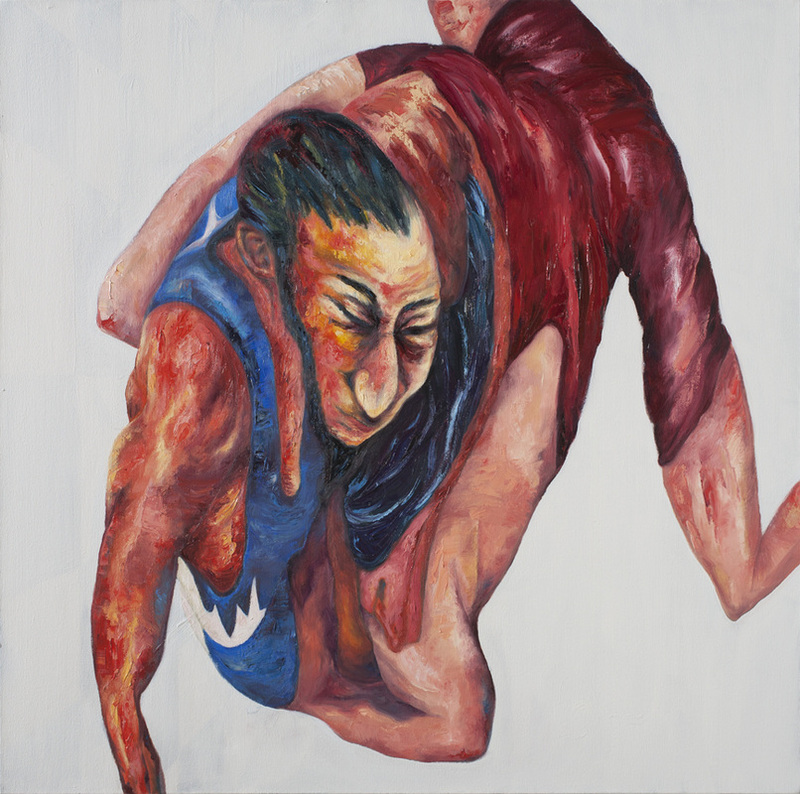 I am interested in the human figure in motion and how my paintings might work independently from their literal figurative roots in press photographs of Olympic sporting competition. I alter my source photographs by applying heightened or arbitrary colour and twisting form in order to look metaphorically at success, struggle, and conflict depicted in contemporary mass media. 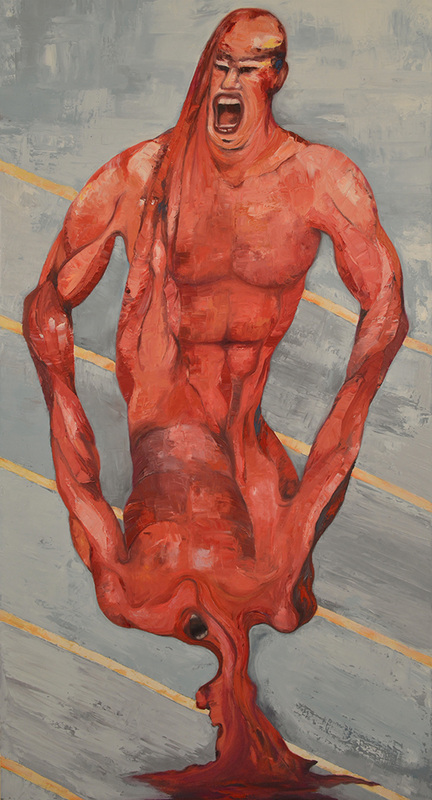 This work depicts the wrestlers’ union of excellence and strength. The distorted figures display two forces coming together into a new single entity. 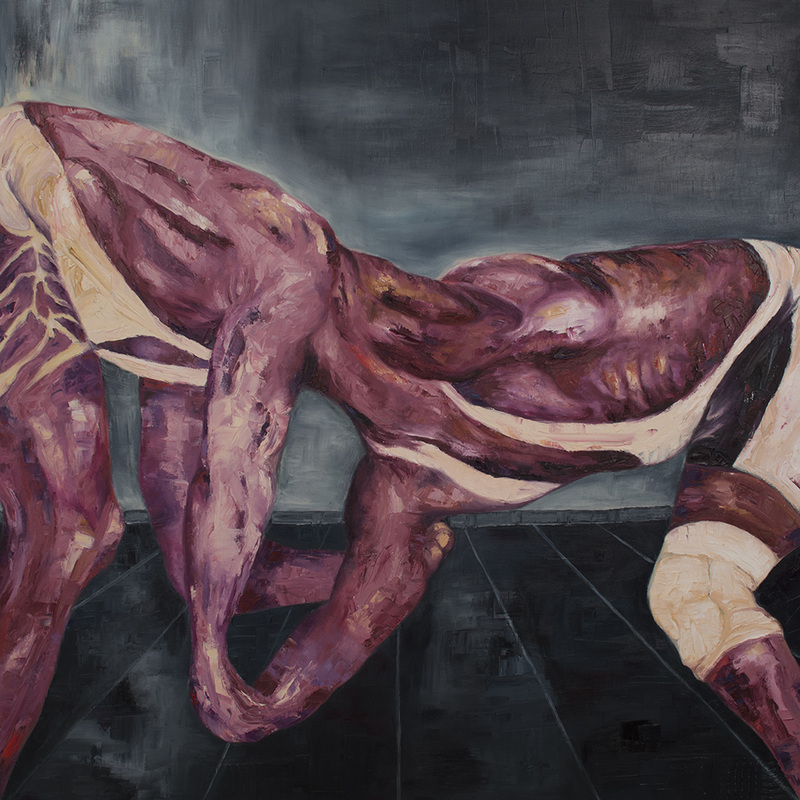 The purple hues and texture of the paint makes this work quite grotesque. The black impasto on the floor resembles the black mats used during various sport training. I love mix martial arts and wrestling is one of my favorites sports. Wrestling serves as a metaphor for life’s trials; one can train extremely hard and still face defeat at the end. All athletes go through these challenges. One can strive for excellence like the athletes do, you move forward no matter what you face, and I like to think that success is about the journey or the experience, whether you win or lose. The distorted figure in Rough-and-Tumble is charged with the suggestion of personal power, stress, and conflict. This is supported by the pronounced use of impasto paint and intense red hues. The result of this abstraction is a confrontation between mortality and vitality that leaves a discomforting effect. 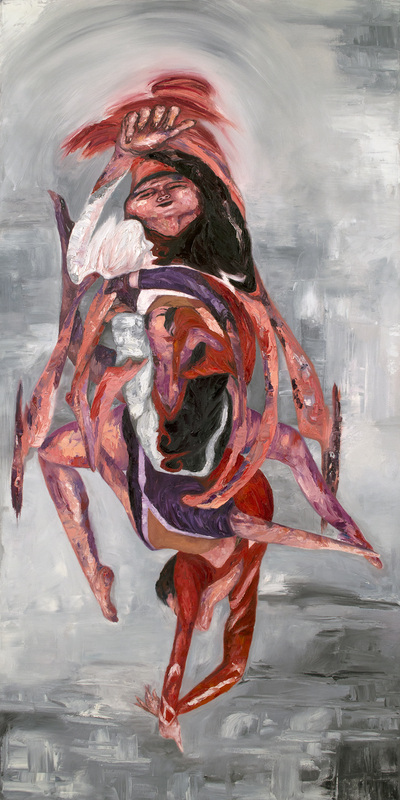 The distorted figures are charged with the suggestion of personal power, stress, and conflict.